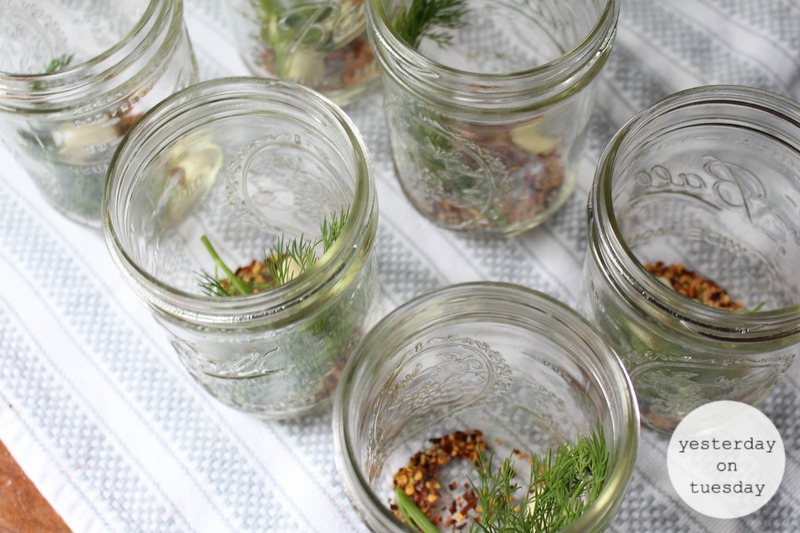 Have you ever made pickles before? It’s very fun and rewarding. 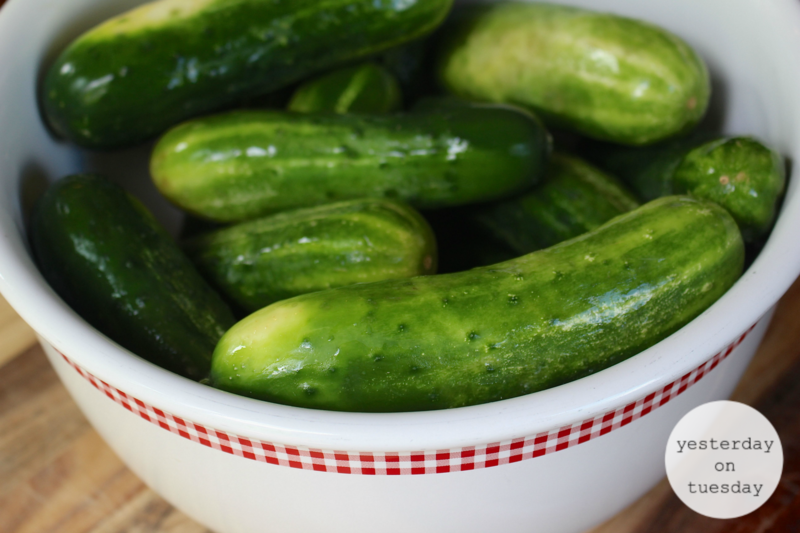 The cool part is, you can control what ingredients you include– so the pickles can be as mild or as spicy as you like! 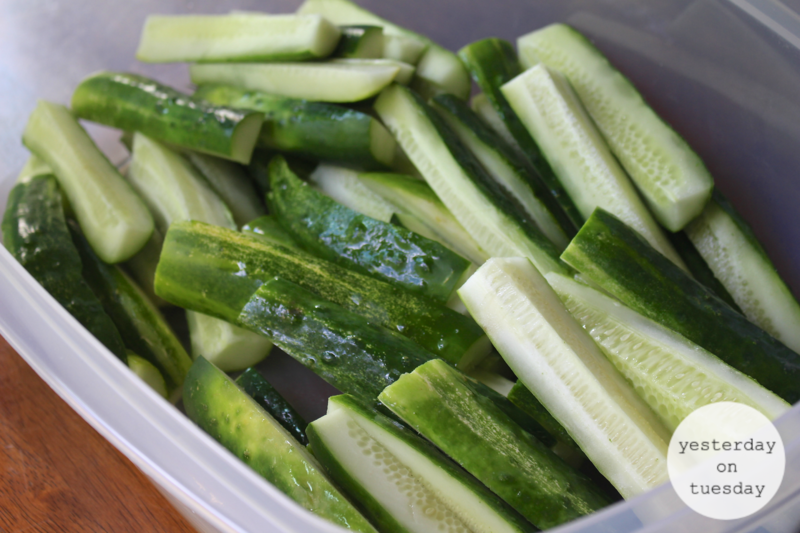 You’ll need some pickling cucumbers. If you can’t find them at your local grocery store, ask the produce manager. They may be able to order them for you. 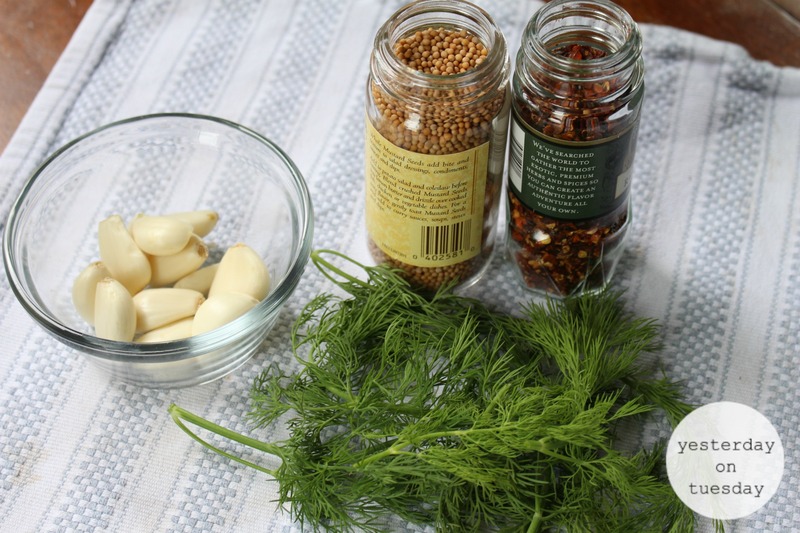 You can find the recipe here: Slightly Spicy Dill Pickles. 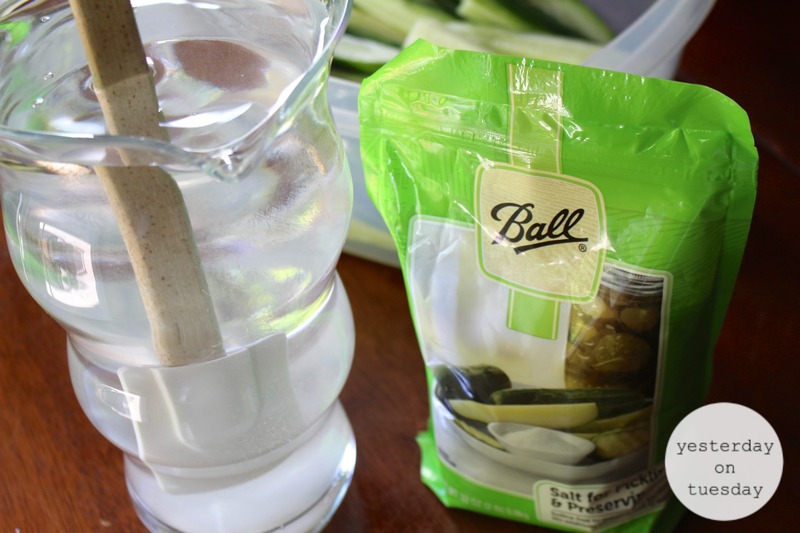 Don’t forget to get some Ball® Salt for Pickling & Preserving. 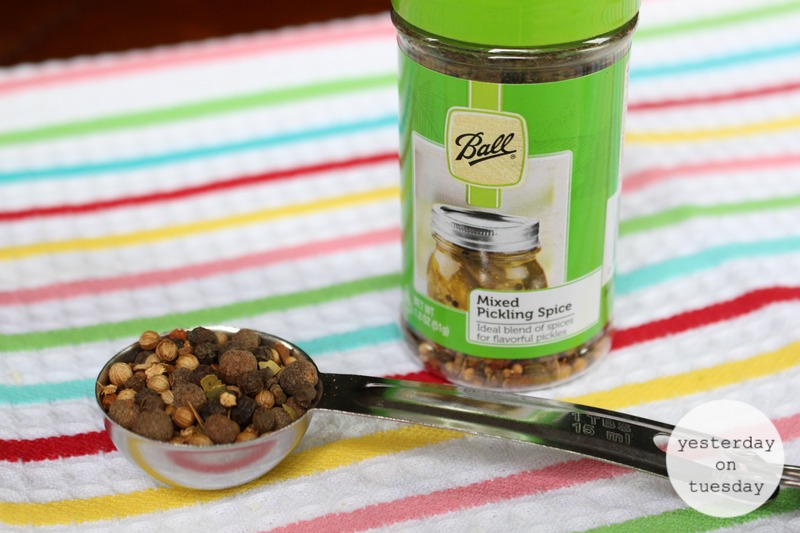 And some Ball® Mixed Pickling Spice. Plus you can customize the recipe and make it your own! Aren’t the herbs and spices pretty? 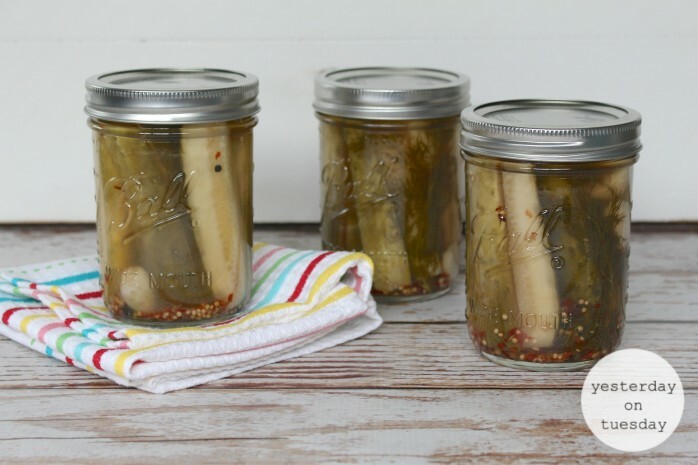 These pickles are a family fave. Just click the link, download, save to your computer and print! Oh the boys will looooooooove this! 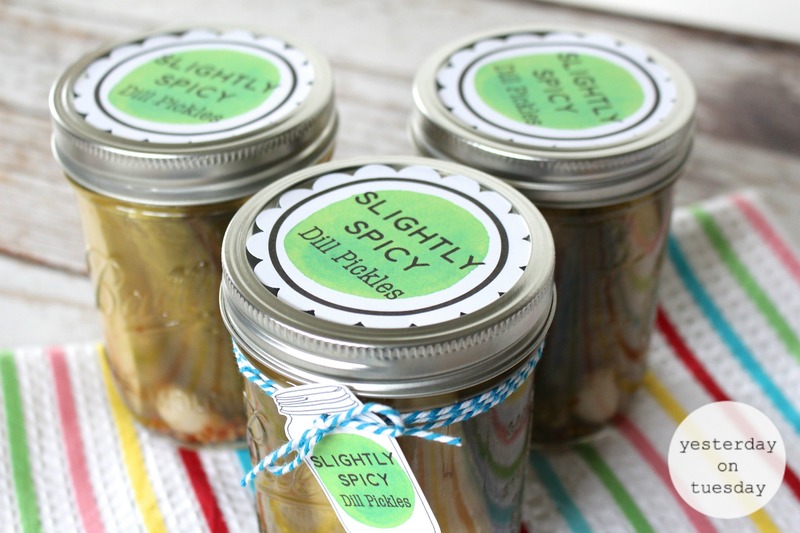 I’ll have to make a few of these when I do my big dill pickle canning extravaganza! Pinned and sharing! Cheers!